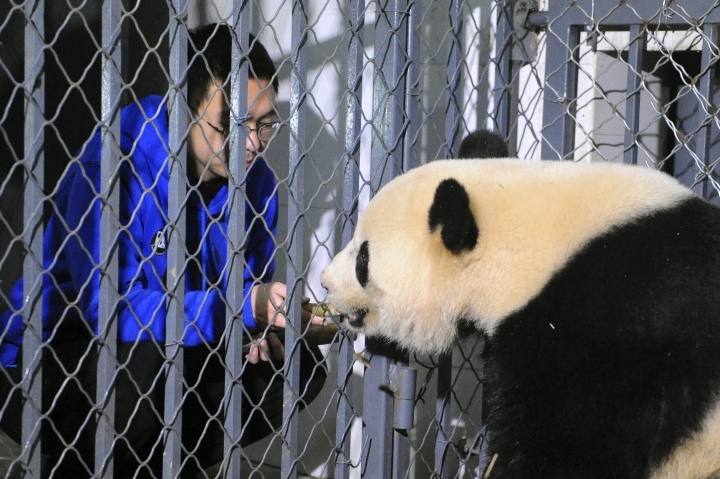 BEIJING — An American-born panda started settling into her new home Thursday in southwest China where she will eventually join a breeding program. Bao Bao was born at the National Zoo in Washington to panda parents on loan from China. Under an agreement between China and the U.S., such panda cubs must be returned to China before they are 4 years old, the earliest age at which they might begin breeding. 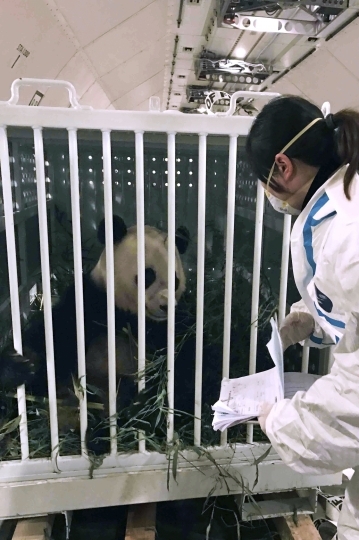 The 3-year-old landed in the city of Chengdu in Sichuan province on Wednesday after a 16-hour flight in a Boeing 777 emblazoned with a picture of a giant bamboo-eating panda. She was accompanied by a veterinarian panda keeper Marty Dearie from the National Zoo, which had put on six days of commemorations to mark her departure. 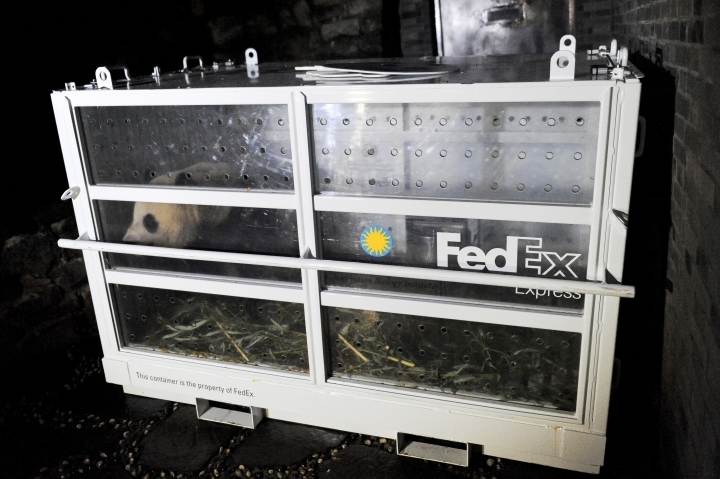 Transported to the nearby Dujiangyan panda breeding base, Bao Bao emerged from her crate looking somewhat timid and curious, but soon settled in with a snack of fresh bamboo, according to a news release from the China Conservation and Research Center for Giant Pandas. Bao Bao, whose name means "precious" or "treasure," will first go through a month-long quarantine at the Dujiangyan base, the research center said. Keepers will monitor her diet, activities and health during that time, including checking her blood and feces, it said. "Once Bao Bao the panda completes this month of quarantine, she'll go on display to the public and I welcome everyone to come see her then," research center expert Li Desheng was quoted as saying in the news release. 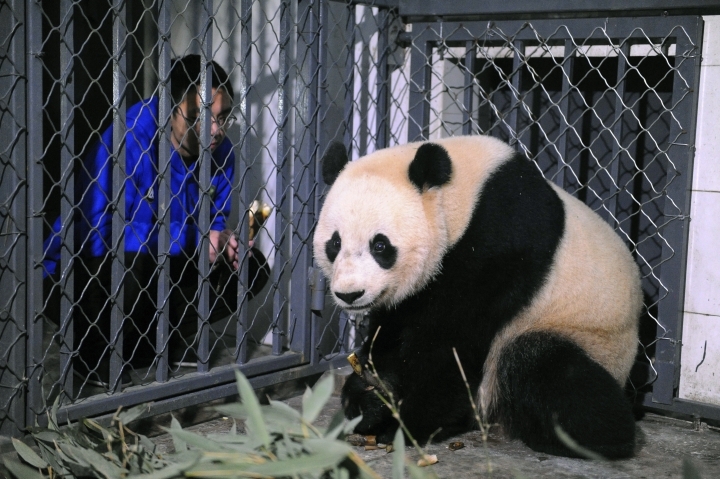 A 100-square meter (1,100-square foot) enclosure has been prepared for her at the base, including both indoor and outdoor play areas, equipped with rubber balls and a tires swing for entertainment and fresh bamboo and apples for eating. Keepers will work on helping Bao Bao adapt to local bamboo and Chinese steamed bread made from corn, soybeans, rice and eggs, the official Xinhua News Agency said. She is the 11th panda to be born overseas and returned to China, and since she does not understand commands in Chinese, she'll be looked after for a time by an English-speaking keeper, Xinhua said. 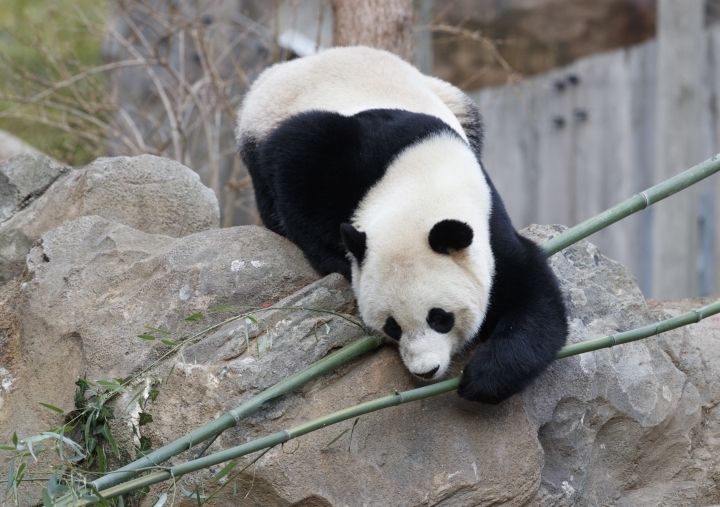 China's unofficial national mascot, giant pandas live mainly in the mountains of Sichuan, with some also found in neighboring Gansu and Shaanxi provinces. They have long considered one of the world's most endangered animals, although last year a leading international group lowered its classification to "vulnerable." The International Union for the Conservation of Nature cited conservation efforts that helped the wild panda population jump to 1,864 in 2014 from 1,596 in 2004. However, the Chinese government rejected the group's decision, saying the panda's status was no less serious because its natural habitats have been splintered by human and natural causes. More than 200 giant pandas also live in captivity.